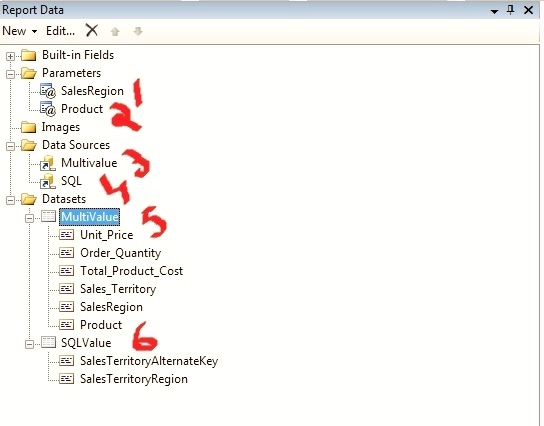 I am assuming that you are familiar with the basic report design, So in below post, I am going to give details regarding the use multi value parameter only. 1. 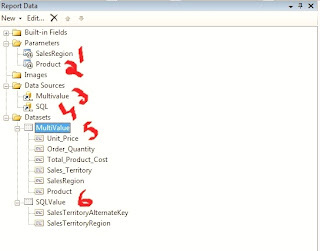 Create your basic report with MDX query. 2. I am using Adventure works DW cube as datasource to describe the below steps. 3. Go to the .rdl code and write your code between <CommandText> your MDX Query </CommandText> tag. 4. 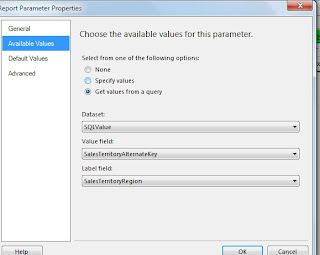 If you are using expression based query, in that case report designer will not add required parameter list automatically. You need to add it manually. In our example, the parameter list will like below image. 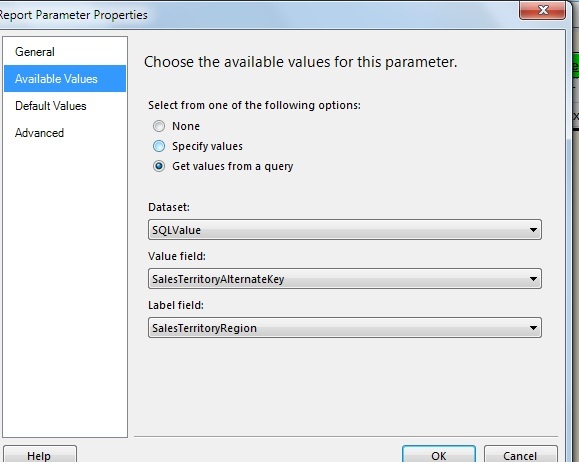 you go to the product parameter (1) and map the query value to this parameter. 1. Choose to set the Available Values. 4. Specify the label name. 5. Now preview your report.